This ticket allows general access to the Pstereo 2019 for all 3 days from Thursday, 15th to Saturday, August 17th, 2019. This ticket allows general access to the Pstereo 2019 only Thursday, August 15th, 2019. This ticket allows general access to the Pstereo 2019 only Friday, August 16th, 2019. This ticket allows general access to the Pstereo 2019 only Saturday, August 17th, 2019. This ticket allows student access to the Pstereo 2019 for all 3 days from Thursday, 15th to Saturday, August 17th, 2019. Only valid with student certificate. This modern style hostel situated a 10-minute walk away from Trondheim city centre offers affordable accommodation ranging from dormitories to single & double rooms with access to a shared bathroom as well as a shared private kitchen. Guests have access to a shared lounge, laundry facilities, a vending machine and a lovely roof top terrace. 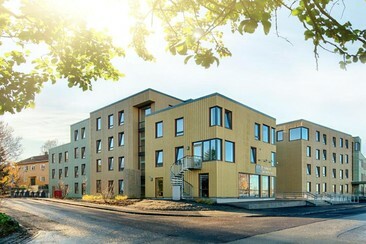 From Comfort Hotel Trondheim you have a short distance to everywhere. 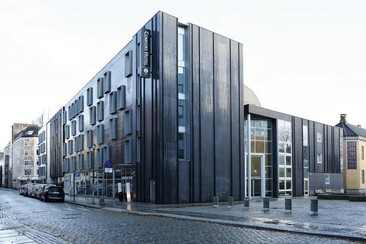 It is located in the heart of Trondheim, only a 2-minute walk from Olavshallen Concert Hall. The Nidaros Cathedral is located 800 m from the hotel. Trondheim Central Station is within a 5-minute walk. You can walk to Torget in 8 minutes, buy a cup of Americano or a latte from coffee shops, where we also have salads, sandwiches and much more options. The hotel offers 24-hour reception, bars/ restaurant, fitness room, meeting room and a breakfast buffet is served every day. The chic rooms feature free Wi-Fi, wall-mounted flat-screens with premium channels, equipped with modern amenities like iPod docks, heating and en suite bathrooms with shower/bath and towels. 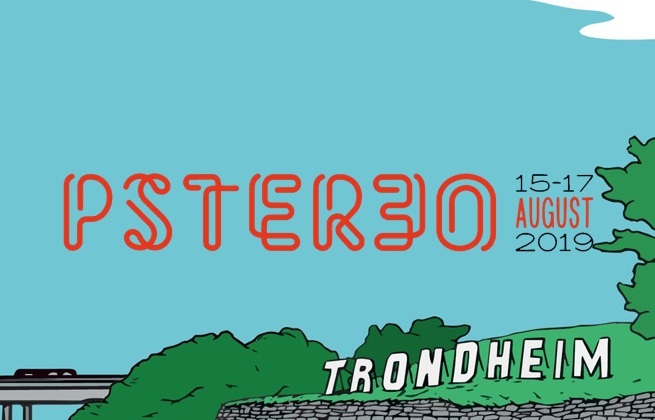 Pstereo is one of Norway's favourite alternative music festivals, each year bringing its diverse lineup of indie, metal and hip-hop stars to the beautiful city of Trondheim. This summer's festival will feature sets from Norwegian rock band BigBang and metal icons Kvelertak, as well as British indie-boppers Bloc Party and rapper Little Simz. Set in an incredible riverside location on the banks of the River Nidelva, Pstereo uses its uniquely scenic landscapes as the perfect backdrop for its stages. The festival takes place on the banks of the River Nidelva in the centre of Trondheim, with the city's Nidaros Cathedral providing a stunning backdrop to the festival.